E.M. Forster declared in Howard’s End that “In Paddington all Cornwall is latent and the remoter West.” I’m not sure if he had Hanwell in mind but as I descended the departure ramp into the station, the late afternoon sun streaming through the glass arches, I began to dream of the beer garden by the river I’d been promised, a mere 12 minute train ride away. For our second research trip, we were heading west. It was March 2017 and I’d been seeing good things on Twitter about The Owl & The Pussycat in Ealing but when Dodds, inspired by an article in The Londonist, said there were three micropubs out there, it was only a matter of time before we’d be knocking off work early to catch the 1733 Heathrow Connect. Would this trip reinforce the lessons we had taken from our first micropub outing to Bexley? Our first stop was The Fox in Hanwell, a part of London none of us had heard of, despite the fact I once lived in nearby Brentford. We were heading there first as Dodds had talked up its riverside location and we wanted to make the most of the first weekend of daylight saving time. As we turned onto the side road where the pub lived, we spotted the ‘The Fox’ emblazoned on the first floor of a building about 300 yards away. Dodds had misread the article, it was just a normal pub. But an excellent one so we let him off. Nicely busy for a Friday evening, we took our drinks into a beer garden distinctly bereft of a riverside view. Dodds shrugged, he was too busy getting quietly annoyed at the shouty kids in the wendy house anyway. 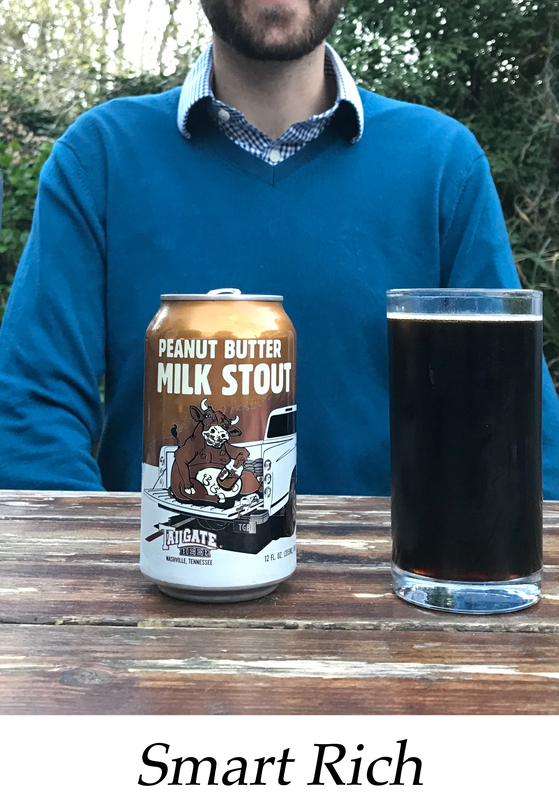 Dave, Dodds and I were on Wild Card’s very drinkable Jack of Clubs (Dave: “I like it, liquorice notes; seven out of ten”); Rich, who was tagging along for the evening and had turned up looking smarter than anyone could recall, returned from the bar with a can of Tailgate’s Peanut Butter Milk Stout (“not great at first but nice aftertaste”). Stockers was waiting for us in The Dodo, an actual micropub. We headed over, phoning our orders ahead: Dodds and I joining Stockers on the delightfully refreshing Canopy’s Sunray Pale Ale, “moreish” the best description I could muster on the night; Dave opted for Magic Rock’s Ringmaster (I was going to go for a Canopy but I bottled it because everyone else did”); and Smart Rich, with Tring’s Tea Kettle Stout, was clearly still in experimental mode. The jovial landlady Lucy was more than happy to chat to us. She explained that she aimed to have three to five cask ales on at all times, each a different style, with one being a ‘wildcard’ (this evening’s wildcard was an American brown ale from Belleville which was sadly off). The beers they stocked depended on which breweries would deliver to them. We really liked The Dodo. A converted retail premises that had opened two months ago, there was space for around 30 people to sit in a room which narrowed towards the rear, creating a cozy atmosphere without being cramped. It appeared to be the perfect size, every time a table came free, another group would walk in to claim it. The interior had been renovated tastefully by a local designer, with wooden floors and tables and white walls, decorated with paintings of dodos, again by a local artist. And while I’m not normally a fan of table service, it perhaps works when the beer is poured in a back room and has to be brought through to the bar area. Lucy told us the guys behind The Owl & The Pussycat had given her help and advice when setting up. 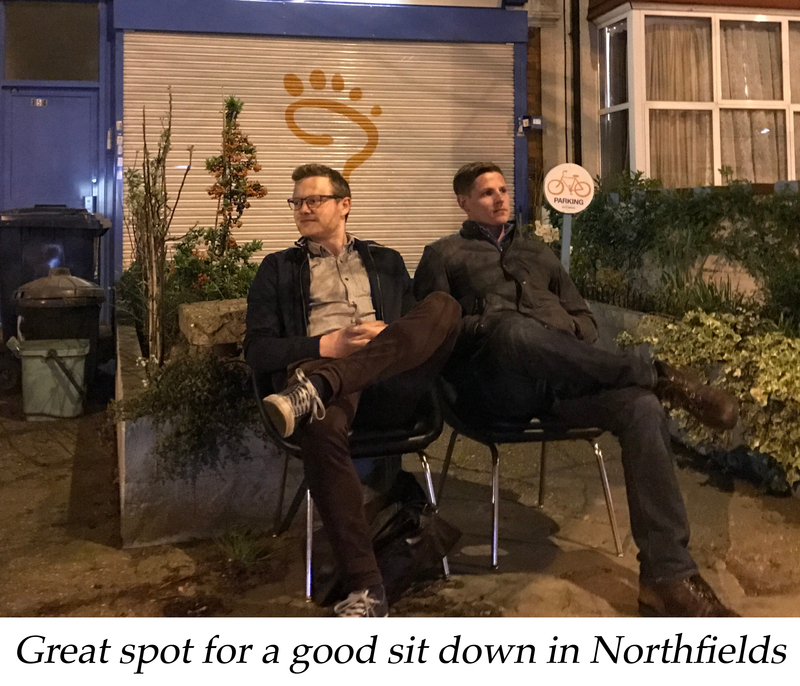 It’s always nice to think of pubs being mates and with Lucy’s suggestion to “sit amongst the bookshelves”, we headed to Northfields. The Owl & The Pussycat offered four beers on cask, all brewed about twenty feet away in the back room. This was exciting: as a homebrewer myself, I was hoping there would be an opportunity to sell our own beer through the micropub and here was proof that it was perfectly possible. The beers, brewed under the name Marko Paulo, were as fresh as you’d expect. The only disappointment was on the gastronomic front when we nipped down the road in between rounds for some truly terrible chips and curry sauce. The non-beer options were less prominent here (although wines and ciders are on offer), understandable given the presence of the brewery perhaps. The interior design was fairly similar—white walls, wooden floors and furniture—but it was more brightly lit and reminded me a bit of The Broken Drum in Bexley. 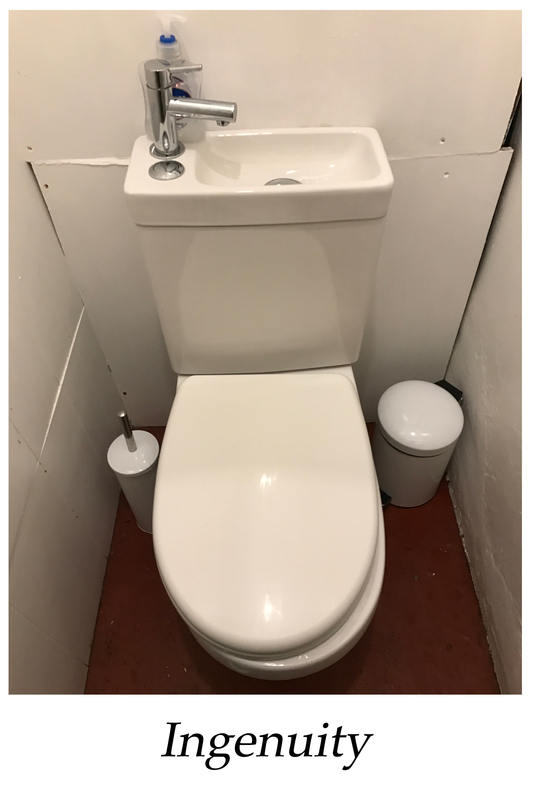 The most impressive bit of the design was to be found in the toilet with the sink built into the cistern to save space, a tremendous piece of plumbing. Apart from the existence of Hanwell, the main thing was that our vision of a scaled down traditional pub, along the lines of the Door Hinge, wasn’t necessarily the answer. The Dodo in particular had gone for a more modern look and despite it being somewhat against our natural preferences, we had loved it. And crucially, it appeared to appeal to a diverse clientele of young and old, male and female. We were also encouraged by Lucy’s decision to leave behind a career in marketing/publishing to open The Dodo. The five of us similarly had careers outside of the hospitality sector and it was pleasing to see that Lucy had been able to make what very much appeared to be a successful switch. It wasn’t entirely outlandish then to think that we could do something similar.